Do you love to whip up smoothies? I do! It is one of our favorite breakfast treats. We also love to enjoy smoothies with lunch and sometimes even dinner. I have been on a huge health kick here lately. I am 32 and my metabolism is slowing down. It seems like I gain weight a lot easier than I used to. I have been trying to watch what I eat. It gets hard when yo have three kids but smoothies are something the whole family enjoys. 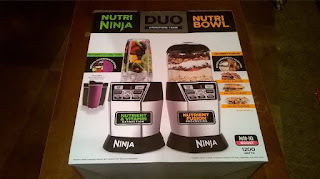 The Nutri Ninja Duo with Auto IQ Boost is my new best friend. It makes it simple and easy to make the best smoothies on the planet. Me and my kids can enjoy fresh fruit and veggie smoothies anytime! The Nutri Ninja Duo with Auto IQ Boost comes with a four cup Nutri Bowl with precision prep blade and dough blade. 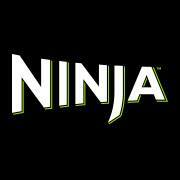 The Tritan Nutri Ninja cup is one of my favorite accessories. You get two twenty four once cups with pour spout lids. 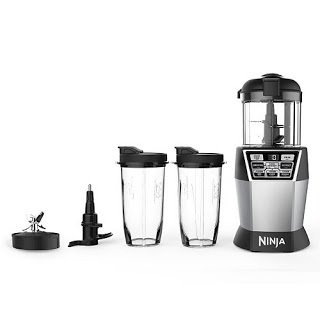 The recipe book comes with seventy five unique recipes that the Nutri Ninja Auto IQ Boost makes simple and easy. Directions: In a blender add all your ingredients except the ice. Next add your ice. Blend together and serve in your favorite cup or glass! Directions: Start by adding the liquid and powder ingredients to your blender. Next add your fruit. Blend together until creamy and serve in your favorite glass or cup.